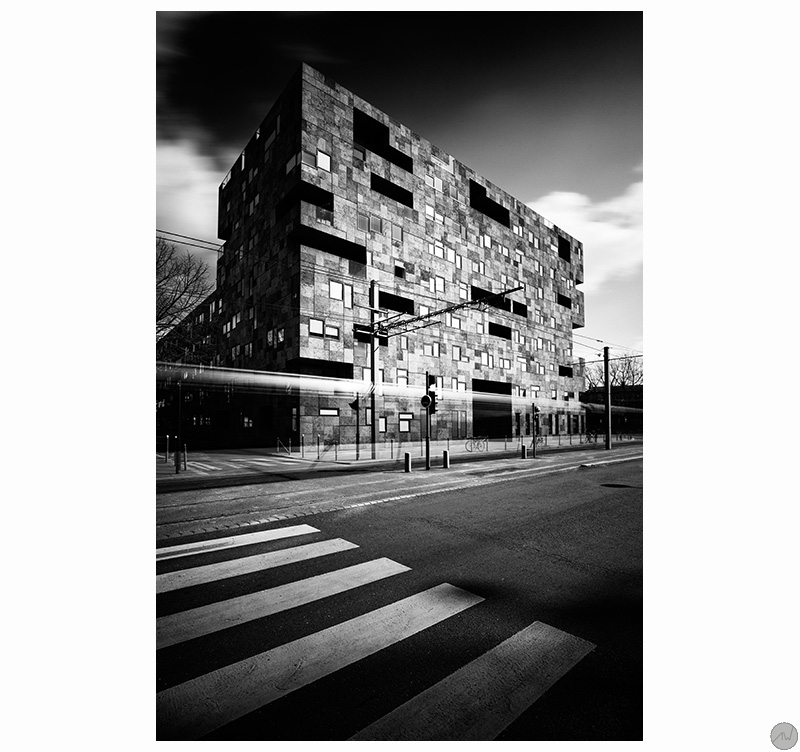 A cube shaped building for a modern photo ! For you architecture lovers, here is a unique design photo ! 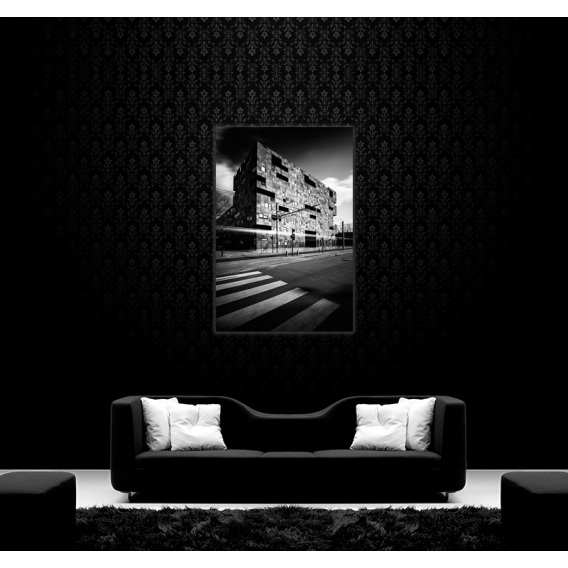 A 200 pieces limited series abstract picture delivered with its numbered authenticity certificate. Taken by a professional, this art photo is in aluminium. The building, located in Bordeaux town centre, has a very particular architecture that gives this art picture its originality. 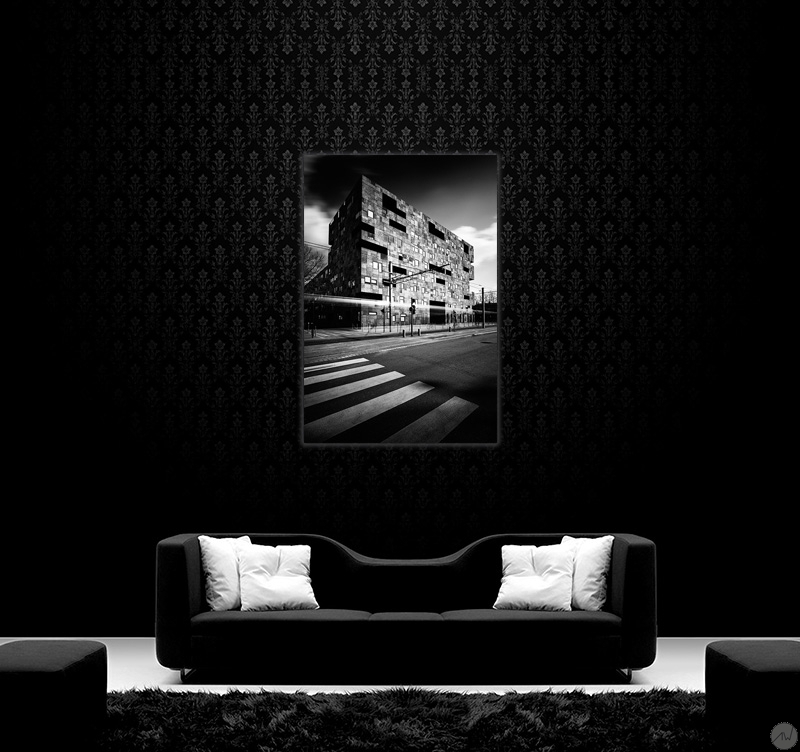 From afar it looks like a cork and brings an abstract style to your home decoration. This building is very impressive and fits in perfectly the street you can see on this artist photo. 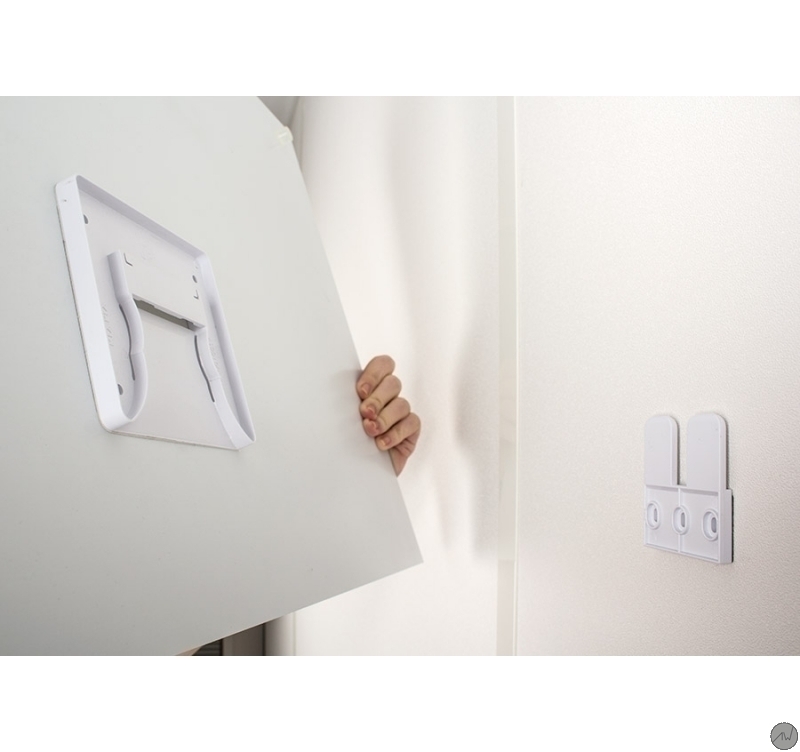 These wall decorations are printed on two aluminium white-coated plates. A polythene coat is placed between the two plates. The support brings a long lasting quality to a top-of-the-range picture. Delivered with hanging system.